POA Educational Foundation is deeply involved with the cause of the First Nation people in Canada through Project Beyshick. Project Beyshick focuses on nurturing entrepreneurship amongst the First Nations. The Foundation recognizes those members of First nations that are not benefiting and participating in the mainstream cultural activities. It is for this reason that the Foundation has decided to support ‘Share the Music’- the arts and education Outreach program – so that young and underprivileged aboriginals of GTA can see the live performances at Massey Hall and Roy Thomson Hall. 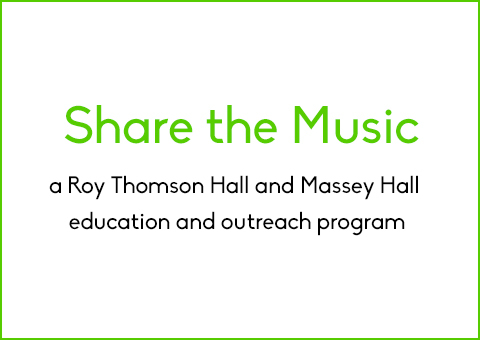 Share the music, the arts and education outreach program created in 1999 at The Corporation of Massey Hall and Roy Thomson Hall provides tickets for selected concerts to underserved youth (age 8-18) in the Greater Toronto Area. Share the Music aims to enrich and inspire the lives of these young people through exposure to world class performing artists and related educational activities. In 8 seasons, Share the Music has distributed thousands of tickets to deserving youth and in so doing, has encouraged young people’s educational growth, inspired their creativity and stimulated their curiosity to listen, to see, and to think in new ways. For additional information on Share the Music, go to http://www.roythomson.com/.